Tsitsipas won by Trocki 6-3, 2-6, 6-2 and 7-5. Tiafoe leaves out Anderson (4-6, 6-4, 6-4 and 7-5), which could have been Nadal's rival in the quarterfinals. 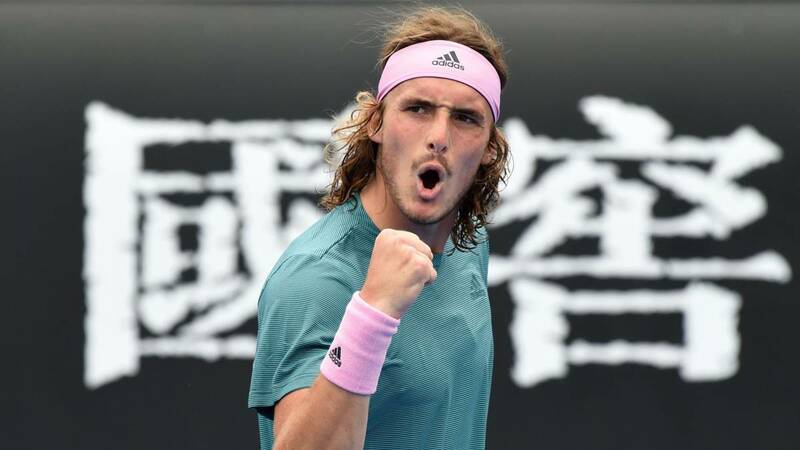 For the first time in a short race, Stefanos Tsitsipas (20 years and 15th in the world) advances to the third round of the Australian Open. Last year he fell in first against the Canadian Shapovalov, but this year he has already overtaken Berrettini on Monday and this Wednesday to 32-year-old Serbian veteran Viktor Troicki: 6-3, 2-6, 6-2 and 7-5 in 2h: 40. With 53 winning shots (14 of them direct serve), the Greek controlled the tenacity of the always uncomfortable Troicki, who from the previous one eliminated Roberto Carballés two days ago. In a game in which there were many ups to the network, Tsitsipas was slightly better than his rival in that performance. Now he will face a complicated opponent, the Georgian Nikoloz Basilashvili (19th), who overcame in a hard match resolved in five sets to the Italian Stefano Travaglia, another tennis player of the qualy who fought until the end to lose by 3-6, 6 -3, 3-6, 6-4 and 6-3 in 2h: 54. But the first big surprise of the day came with the elimination of Kevin Anderson, fifth favorite, finalist of the US Open and Wimbledon, and possible rival of Rafa Nadal in rooms. The South African could not impose his power of serve before the enthusiasm and the good game of the young Frances Tiafoe (20 years and 39º of the world), who won him in four sets after losing the first one: 4 -6, 6-4, 6-4 and 7-5 in 2h: 59. With his victory, the American equals his best result in a Grand Slam, the third round he reached last year at Wimbledon. Tiafoe had never beaten a player with such a high ranking and against Anderson he had fallen in his three confrontations. He planted face with the same weapons as his rival: 47 winning shots, 10 of them direct serve. Now the Italian Andreas Seppi awaits. Who did not fail was Marin Cilic (6th). The Croatian won another American, Mackenzie McDonald 7-5, 6-7 (9), 6-4 and 6-4 with 25 aces, including in his 67 winners and will be with Fernando Verdasco in the third round. Another favorite who also easily solved his second round match was the Russian Karen Khachanov, tenth favorite, who beat the Japanese Yoshihito Nishioka for a triple 6-3 and who will cross in the third round with the Spanish Roberto Bautista, who he beat the Australian John Millman 6-3, 6-1, 3-6, 6-7 (6) and 6-4.